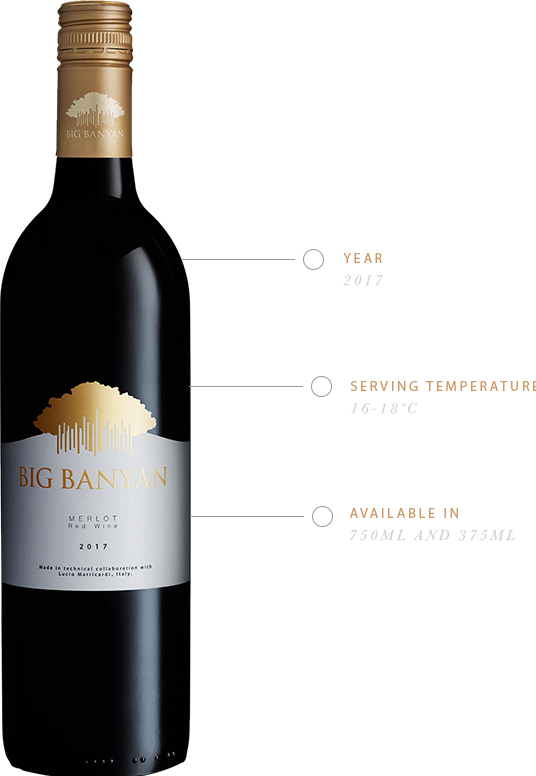 A quintessential red, the Big Banyan Merlot is divinely smooth. The ripe berries used for this wine, love the warmer climes of India, and it is evident in the plummy finish of the wine. Give it a gentle swirl. Enjoy the warm scents of dark cherries, plums and blackberries, laced with a hint of cocoa, a dash of black pepper and notes of minerals. Our Merlot is a luminous red. It has hints of violet that come alive when light dances through it. The soft, velvety tannins of the wine make it dry and medium bodied.